FONTANA, CA – Nearly 200 Fontana Unified administrators brainstorm creative solutions to educational challenges, celebrated innovation among their peers and strengthened their management skills during the District’s inaugural Leadership Institute on July 16 and 17. 072718_FUSD_LEADERSHIP: Kaiser High School Principal Terry Abernathy presents his team’s prototype of an innovative learning environment during Fontana Unified’s inaugural Leadership Institute on July 17. 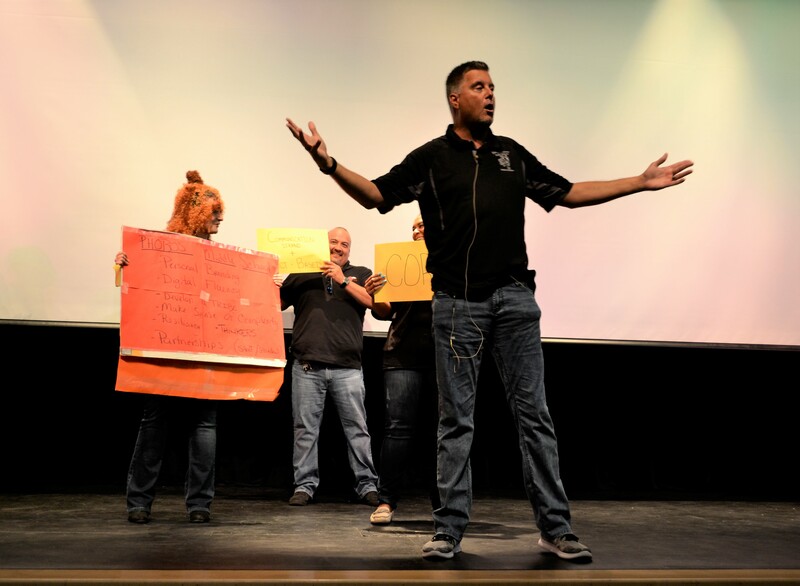 Kaiser High School Principal Terry Abernathy presents his team’s prototype of an innovative learning environment during Fontana Unified’s inaugural Leadership Institute on July 17.